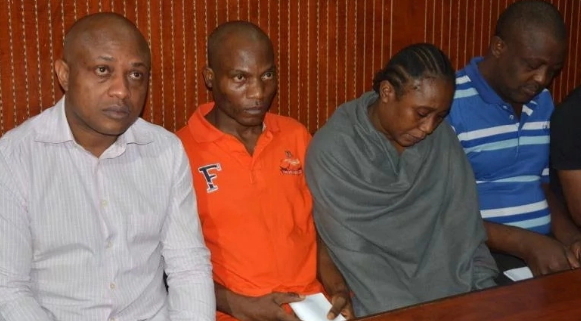 As Nigerians await the trial of billionaire kidnapper, Chukwudumeme Onwuamadike popularly known as Evans, some of his gang members have accused him of not keeping to their blood oath of secrecy. It was gathered that Evans assisted the police to nab several members of his gang including his informants. He also handed over with ease to the police two serving soldiers who actively participated in most of the kidnap operations that he organised. 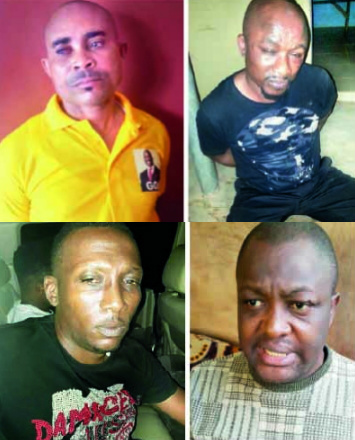 Among those arrested is Eric Ezeala, another notorious kidnapper and armed robber who owns several mansions in Abuja, Lagos and Imo State. During interrogation by the police, he accused Evans of not keeping to their oath of secrecy if caught. Also in police custody are two persons who provided all the information needed to kidnap some of his victims. 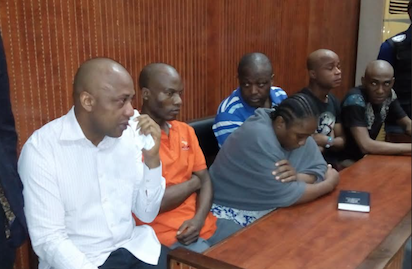 Okwuchukwu Nwachukwu was the one who allegedly gave information of how and where to find the Pharmacist Donatus Duno and two others who were abducted by Evans. Recall that Duno was the victim who escaped from Evans hideout in Igando area of Lagos, a development which gave the police a clue as to how to track and end the reign of terror by Evans and his gang. Another informant, Chiemeka Arinze admitted to the police that he was the brain behind the attempted kidnap of the Chairman of Young Shall Grow Motors, Vincent Obianodo. The two serving soldiers were identified as Corporal Victor Chukwunonso and Corporal Chilaka Ifeanyi. They have now been dismissed by the army and handed over to the police for prosecution. Next is Udeme Frank Ubong who supplies arms to Evans. The suspect, according to the police fled Lagos when the news of Evans arrest hit the newsstand. No be only oath of secrecy! All of you should be rounded up and executed. Oath of secrecy my foot. If this guy was bearing a Muslim name he would hv been a tourist.